Numerous movies and TV shows have cities as their backdrop, but the most compelling urban narratives feature the city as a sort of character unto itself. Few cities are more fascinating stages than London, which is awash with iconic landmarks—Big Ben (i.e., the Elizabeth Tower) is an instantly recognizable backdrop for the city if not the UK; Tower Bridge is a commonplace framing shot for London; and double decker buses and black cabs have become aesthetic code for cinematic London. 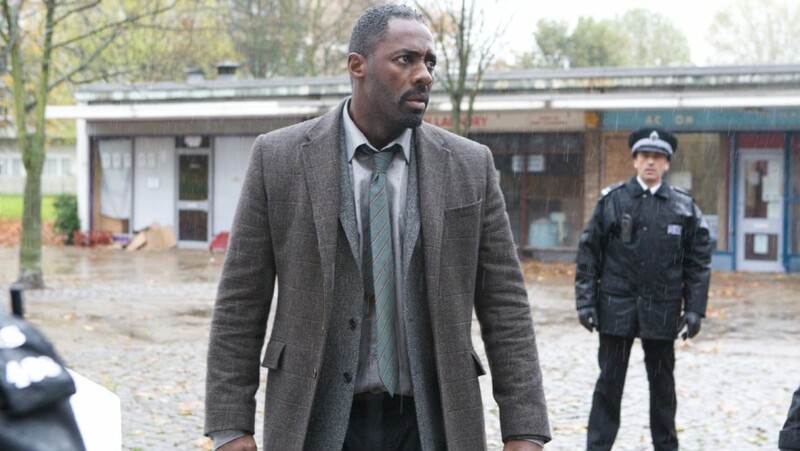 However, BBC’s dystopian crime drama Luther paints London as a distinctively dirty and dark city, avoiding most of the exhausted symbols of the UK capital and instead imagining London as a grey, eroding, and grimy place. 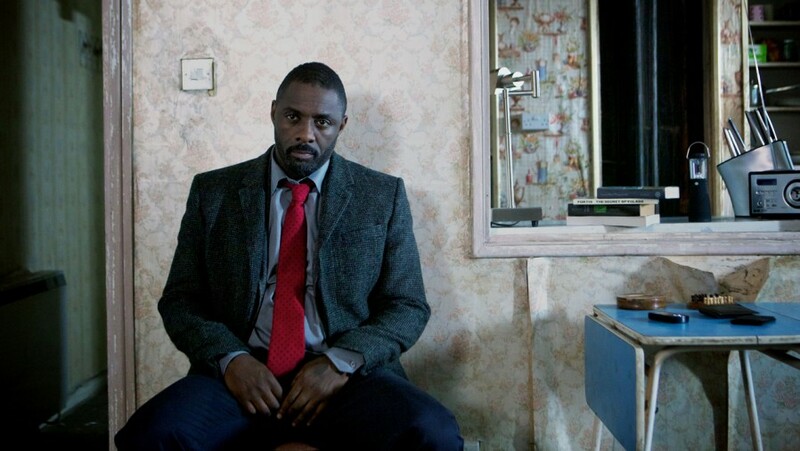 The very first episode of Luther opens in the abandoned KTR Medico warehouse, which the script defines as “A DECAYED, POST-INDUSTRIAL STRUCTURE. Wasteland.” Series creator Neil Cross acknowledges that the series’ intent “was that London would be one of the series’ most important characters,” but Luther’s London is distinctively dark and dirty, mirroring the series’ harsh tale of brilliant if psychotic serial killers and a police detective that is uncomfortably like them. Vulture’s Matt Zoller Seitz described the Luther settings as a “comic-book-noir” aesthetic that places the familiar tortured detective story in a place akin to “Gotham City, or perhaps Frank Miller’s Sin City, which Luther’s debased, grim London often resembles.” USA Today likewise suggests that exchanging John Luther’s dark tweed and “steely, brooding façade” make Luther “London’s own Batman.” Indeed, Luther is somewhat of a comic aesthetic in its inflated ambition to paint reality in its most grimy dimensions, and BBC One has even produced graphic novel images for the show. Danny Quirk’s painted models in Times Square (image from Danny Quirk Artwork). Last week Times Square hosted a fashion show of sorts at which three models were decorated as anatomically correct, partially de-fleshed bodies. A day was spent body painting the models with exposed muscles, nerves, circulatory systems, and skeletal elements that rendered them walking anatomical textbooks. Artist Danny Quirk’s inspiration for the Times Square performance was the Body Worlds exhibit, a display of artistically preserved dead bodies. The models were walking advertisements for the exhibit at the Discovery Times Square Museum. Body Worlds complicates facile definitions of death and the corpse, clouds the distinction between entertainment and edification, and underscores the symbolic power of the dead body that has long been clear to archaeologists. Body Worlds is a series of exhibitions of actual dead bodies preserved through a process called plastination, which replaces bodily water and fat with plastics. The plastinated bodies can be posed in a vast range of imaginative dissections revealing a variety of internal organs and structural features in prosaic activities (e.g., bodies playing poker) and impossible human positions (e.g., a runner with partially detached muscles). The plastination technique was developed in 1977 by Gunther von Hagens, who has managed the Body Worlds exhibitions since their first showing in Tokyo in 1995. The Body Worlds exhibit in New York, which is one of 11 Body Worlds exhibits now, includes a muscular gymnast, a flayed man holding his skin, a pregnant woman with a five-month old fetus, and a smoker with exposed blackened lungs among the preserved corpses greeting visitors. 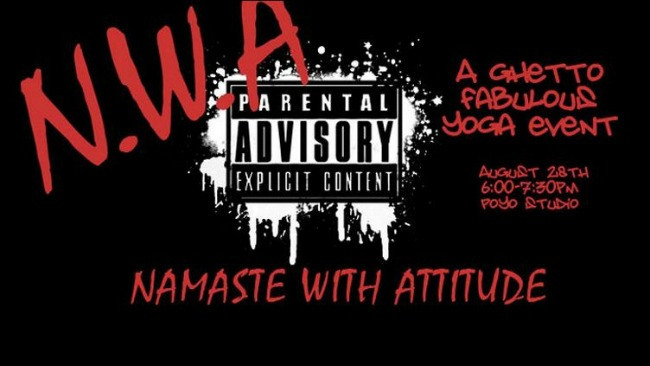 The online announcement for the NWA “ghetto fabulous” yoga class. 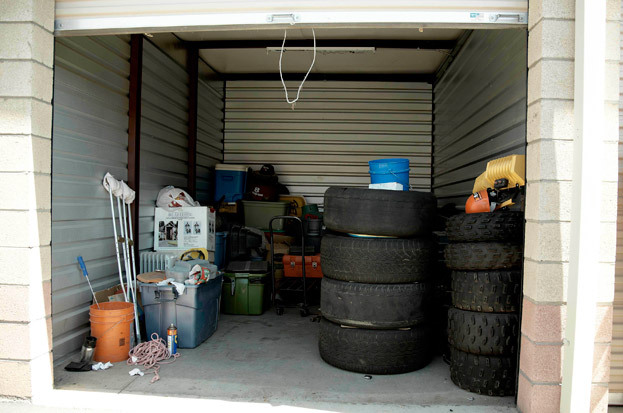 For those interested in a summary of my posts on “geek culture,” I have a piece The New Normals: Geek Style and Consumer Culture that appears today on PopAnth. For more details, see my earlier posts on Geek Subculture including pieces on Geek T-Shirts, Cosplay and Geek Subculture, Walking Dead Fandom, and the Marketing of Doctor Who. A week ago the MTV Video Music Awards celebrated an array of over-the-top visual, bodily, and stylistic performances. The most self-righteous moralizing has been reserved for Miley Cyrus’ awkward entrance into adulthood celebrated with teddy bears, Beetlejuice, and vinyl hot pants, but the collective event staked a clumsy claim to authenticity that has often dogged musicians in particular and subcultures in general. To be authentic implies originality, distinction, and stylistic innovation that springs from a sort of essentialist notion of human experience and raw talent, which is confirmed in “live” performance moments like the VMAs. Two moments at the VMAs—one the celebrated Miley Cyrus dancing sequence, the other focused on the stylings of a member of One Direction–revolve around that ambiguous authenticity and contemporary musical performance.